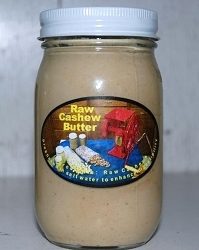 Raw cashew butter. Comes in 8 oz. or 16 ounces.